This entry was posted on Wednesday, July 6th, 2016 at 8:28 pm. It’s been a while since I’ve blogged about my babies – sorry! Everyone is doing well, mostly, so I’m very thankful for that! We’ll start with the eldest in the family. My 35 year old love is doing so well. She has Cushing’s, but for the first year in quite some time, she actually shed out her winter coat this spring! So there was no need to hire someone to body clip her. Takoma is spending her days grazing with Misty and snoozing in her stall. She gets three meals a day as she is becoming harder to keep weight on, but she’s hanging in there! My middle child is faring semi-well. 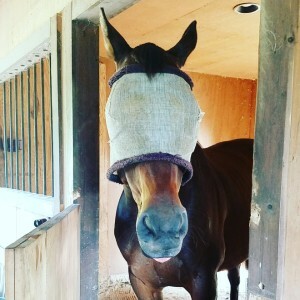 I recently posted on Instagram about him – he’s been experiencing some mystery lameness. He’s sound at the walk, but at the trot, he’s definitely off. He had a huge crack grow out and break from an abscess last year, but he has shoes back on and his hooves actually look really great. My farrier thinks he’s just bruised from the break and should be fine in a few more weeks. In the meantime, he’s on bute and I’m applying Keratex to try and harden his hooves. No riding for Bailey Boy right now, which is fine by him, of course! She is actually the youngest (by one year) of my equine kids. Misty is Misty. She’s insane, ridiculous, full of life and personality, sassy, and ALL MARE! 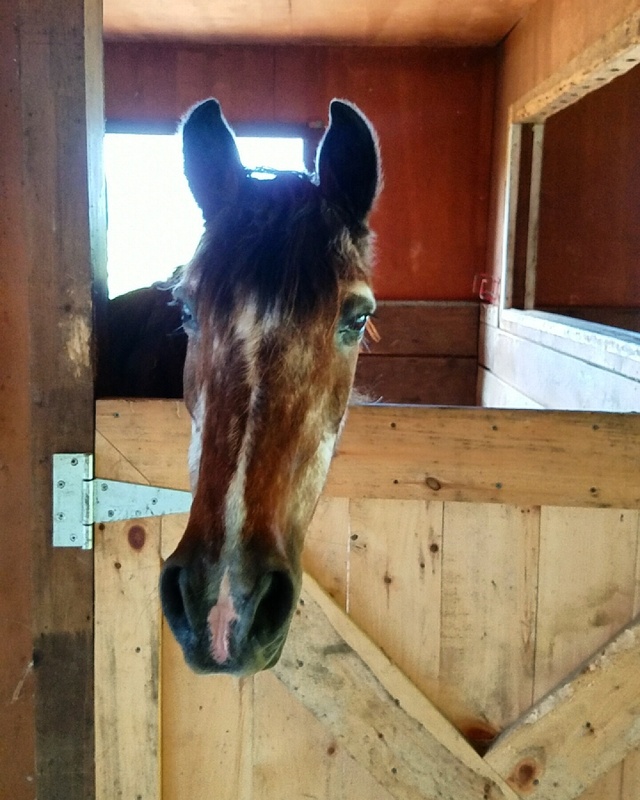 I love this horse to death – she’s definitely my spirit animal. She’s as fat as a tick (so is Bailey), so I need to get back in her saddle and help her to burn some calories! Misty is barefoot and such an easy-keeper. 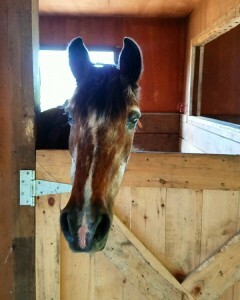 If I could take her hooves and Bailey’s brain and merge them together into one horse, I’d have perfection! Check out our silly snapchat below. I always say that I have the cast of Black Beauty in my barn. Bailey is Beauty, just your sweet, dependable guy. Takoma is Merrylegs, everyone’s favorite pony. And Misty is wild, feisty, spirited Ginger! I love that they have such different and distinct personalities. I hope all your four-legged fur-kids are well and enjoying the summer! !